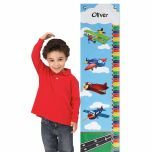 Give your child a growth chart that's a work of art, printed on durable artist's canvas! 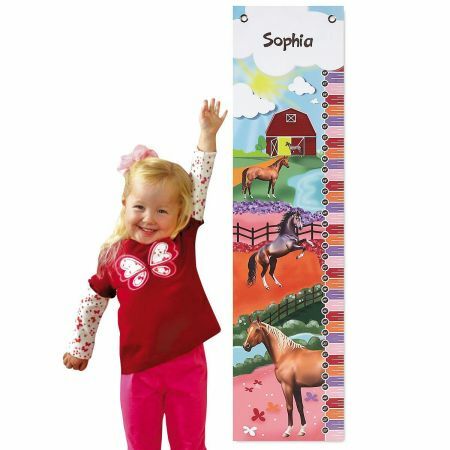 Cheerful horse-lovers' chart is designed just for kids, and we'll customize it with your child's name at the top. 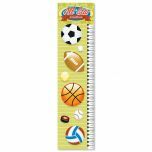 Heavy-duty chart is 10" wide and 40" long. 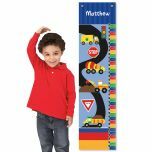 Measures your child's height from 25" (2' 1") up to 58" (4' 10") tall. Features 2 grommets at top for easy hanging; just position bottom edge 2' from the floor. Shipped to you rolled in a sturdy tube.